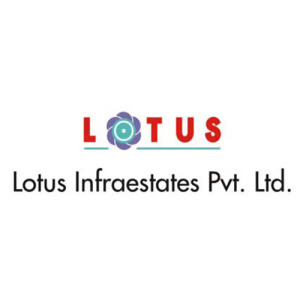 Lotus Infraestates Pvt. Ltd. is well known name in the real estate sector. They are known for building prominent commercial and residential projects in Delhi NCR. Their vision is to extend the benchmarks in quality, ethics and value, adhere to and raise standards of best in class in every endeavor, develop greater efficiency in technology, management practices and eco friendly sensibilities and establish leadership position by progressively raising the growth quotient. Lotus Infraestates Pvt. Ltd.’s mission is to deliver state of the art infrastructure to its patrons & clients, adhere to timelines for its projects and responsiveness to its customers need, and transparency in its working and is determined to give Real Estate Development a new dimension. Lotus Infratech owns land banks in Delhi NCR, Dharuhera, Panipat, Kurukshetra, Panchkula, Yamunanagar & Jhajjhar. Some of their prominent projects include Lotus Towers in New Friends Colony along with Lotus Plaza in Gurgaon. With teams of experts under their belt and years of experience backing them up, Lotus Infraestates Pvt. Ltd. is one of the biggest names in the real estate industry.